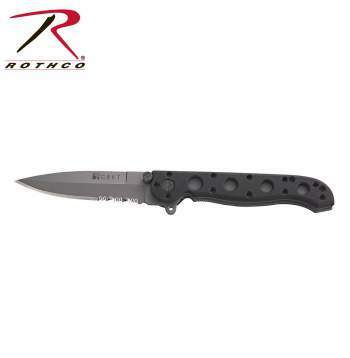 Columbia River Knife & Tool’s Carson M16-13Z Zytel Knife is the perfect folding knife for everyday carry. Is has a slime design with a spear point blade. This rugged utility knife contains a high carbon stainless steel blade, tough zytel scales over a stainless steel liner inter-frame, and a removable plated stainless steel clothing/gear clip.